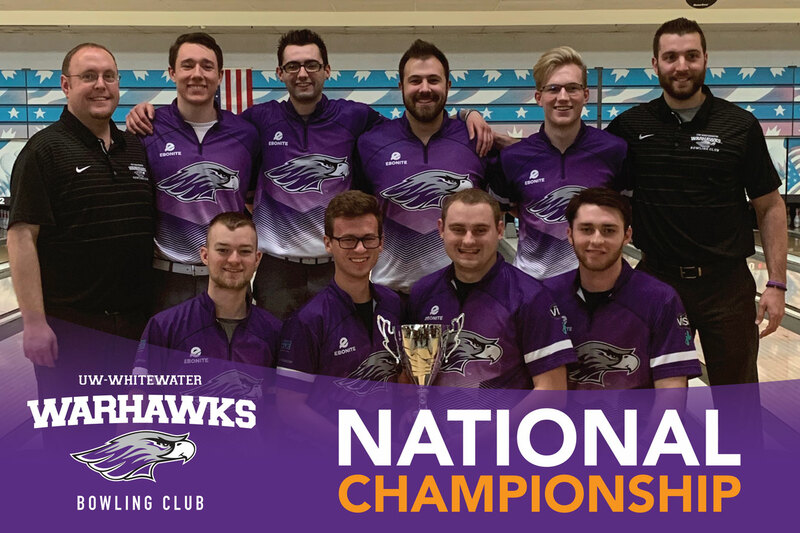 On Sunday, April 7, 2019, the Warhawk Men’s Club Bowling team brought home their first national championship title. This designation was awarded at the Collegiate Club Championship, a two-day tournament in Indianapolis, Indiana. The team paved the way to success over the weekend with a double elimination bracket as they went undefeated, winning over Northern Kentucky University 3-1, Wright State University 3-1, Rochester Institute of Technology 3-1, William Paterson University 3-0 and University of Wisconsin LaCrosse 3-0. In addition to the team’s national title, several Warhawks achieved individual triumphs. Senior criminology major and co-caption Josh Pate was named Club First Team All-American for the second time, junior biology major Ryan Winters was named Club Second Team All-American for the second time, and senior general business major and team president Josh Schneider was named the Collegiate Club Championships Most Valuable Player. Pate, a four-year veteran, described the amazing feeling. “We have worked hard all year long preparing for this. Every single person stepped up and performed extremely well. This title is not just for the eight players who traveled; it is for the 15 other guys who are on the team. Also, it is a title the university deserves." Head Coach Shawn Wochner was awarded the Randy Widger Men’s Club Coach of the Year. This is Wochner’s fourth time being recognized with this honor. The Warhawks will continue their bowling journey on Friday, April 12, as they compete in the USBC National Championships in Dayton, Ohio.